Homeowners who do not insist that a contract be made when planning a home remodel project often end up dealing with some frustrating situations and may lose a lot of money. 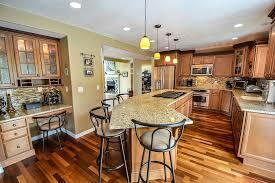 Here are some tips for making a contract for a home remodel project. If a contractor says it is not necessary to sign a contract, this is a red flag. You want to be sure that you are working with someone who is also interested in making sure that all legalities are taken care of. Not only does the contract protect you as a homeowner, but it also protects the contractor. If a contractor does not like the idea of signing a legal document, they may not intend to finish your project or to do it in the way that you specify. Part of the contract should be dedicated to pricing and payments. You should fully understand how much you are going to pay for the project, materials, and other expenses that arise. You want to know how much money you will have to pay upfront for the project and when other payments will be necessary. In some cases, a contract is going to specify the exact type of work that is going to be done, which materials will be used, and a basic time frame for when the project will take place. At other times, this information may be a bit more vague. It may allow more leeway for the homeowner to change the way a project is done or to add materials as the project continues. This should be done in a fair way to protect both the homeowner and the contractor. For example, the homeowner may decide that they would like the style of the deck to be changed after a dining room has been added onto their home, or they may decide to add versadjust pedestals after looking at how the deck is starting to come together. Ground rules should also be included in the contract. For example, the homeowner may want to outline when the contractor can work and which areas of the home they will need to have access to.